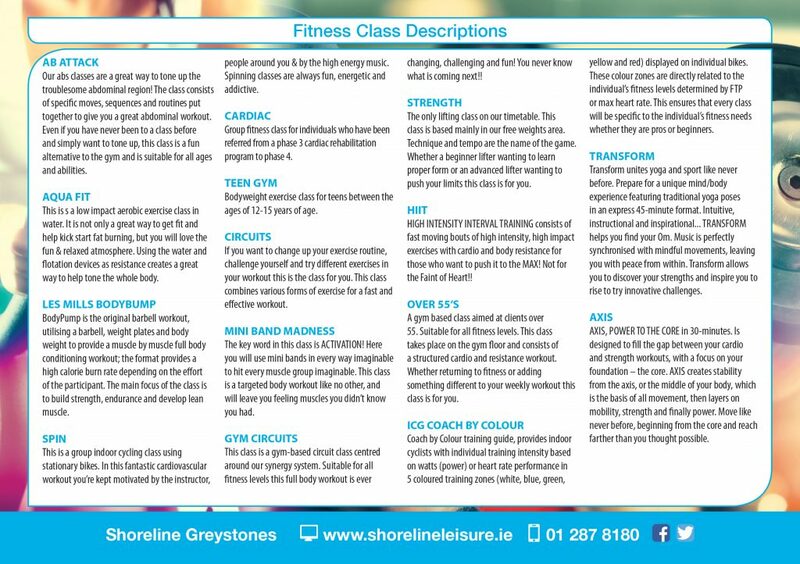 Please note that Member can book using our app ‘Shoreline Greystones’ . Non-Members can call us to book an evening class from 2pm, for a morning class can call in the morning but please be aware places will be very limited. Fitness Classes are free to members and €7.00 to non-members. Non-members can book a space after 2pm on 01-2878180.